We’ve made some exciting new design updates to Follow and I’d like to share them with you now. Before, you could only access Follow through our browser extension, but now you can access our service through a variety of different ways. We have a new desktop website. 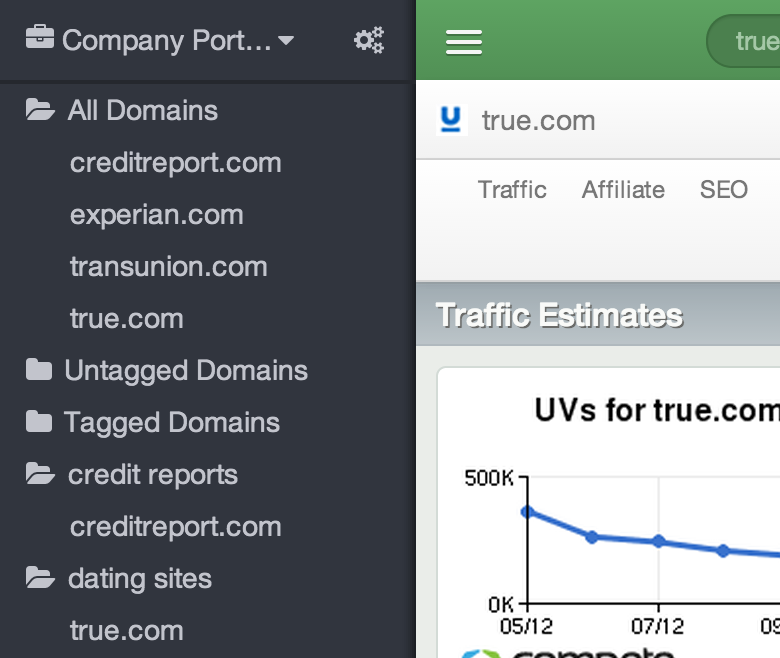 This means you can access our data without having to load up our extension. 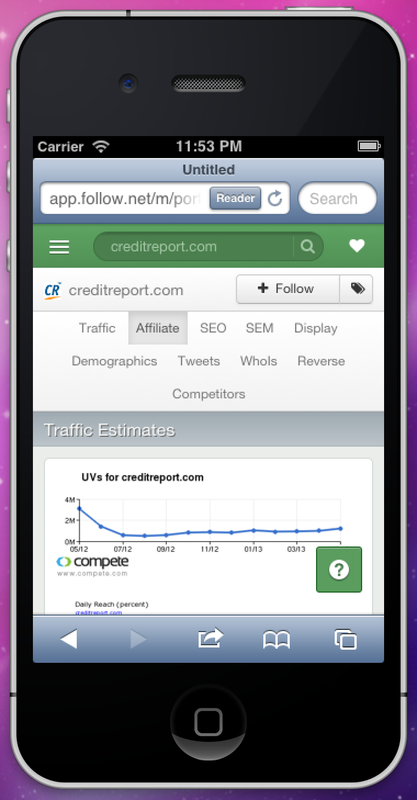 In addition, we are super excited to announce that you can also access Follow through any mobile device. Our new design is fully responsive; you’ll have the same experience across all platforms: our browser extension, desktop site, and our mobile web apps. If you work with others you’ll love this new feature. You can now create portfolios of websites and share it with other people on your team. When you first sign up for Follow you are given a starting Portfolio. If you’re currently following sites that other people on your team may be interested in, you can now share these portfolios with them. Once another user joins your portfolio, they will have access to all of the sites within that portfolio. This makes it easy for a group of teams to share competitive information with each other. You’ll notice a new sidebar on the left side of the screen when you log into Follow. If you’re accessing Follow through our browser extension or your mobile device you just have to click on the menu icon in the top-left corner to open this sidebar. From the sidebar you have quick and easy access to all of the sites that you’ve followed and tagged. You can now edit and delete any of the tags you’ve previously made. We’ve added a new video help section. To access this area simply click the help menu. This is located in the bottom-left corner of our sidebar. We currently only have two videos, but more will added soon. The first video shows you how to quickly get started with Follow. The second video walks you through all of our different data points and what they mean. Though we may not always be online, you have access to a live support chat. 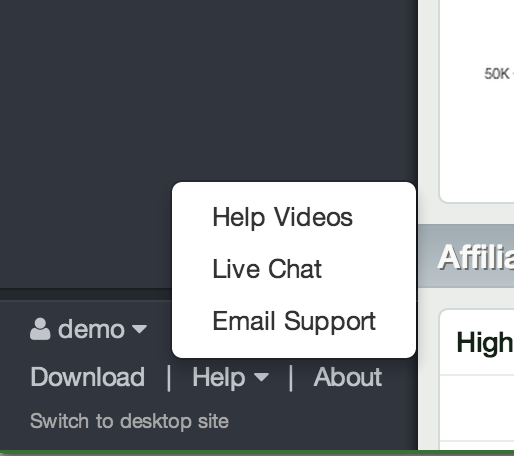 You can find the link to the live support chat by clicking the help menu in the bottom-left corner of the sidebar. This entry was posted in Uncategorized on July 8, 2013 by Wes Mahler. Great new features, can’t log in from my droid though. I love the enhancements. Good job Wes & crew!